The Radio Amateur is CONSIDERATE, never knowingly operates in such a way as to lessen the pleasure of others. The radio Amateur is LOYAL, offers loyalty, encouragement and support to other amateurs, local, clubs, and the American Radio Relay League, through which Amateur Radio in the United States is represented nationally and internationally. The radio Amateur is PROGRESSIVE, with knowledge abreast of science, a well built and efficient station and operation above reproach. The radio Amateur is FRIENDLY, slow and patient operating when requested, friendly advice and counsel to the beginner, kindly assistance, cooperation and consideration for the interest of others. These are the hallmarks of the amateur spirit. The radio Amateur is BALANCED, radio is an avocation, never interfering with duties owed to family, job, school, or community. The radio Amateur is PATRIOTIC, station and skill always ready for service to country and community. The original Amateurs Code was written by Paul M. Segal, W9EEA, in 1928.
get your own Ham Domain find out by going to the link Ham domain. This is a photo of KG6PIR at Green Gate for the Western States 100 mile foot race. 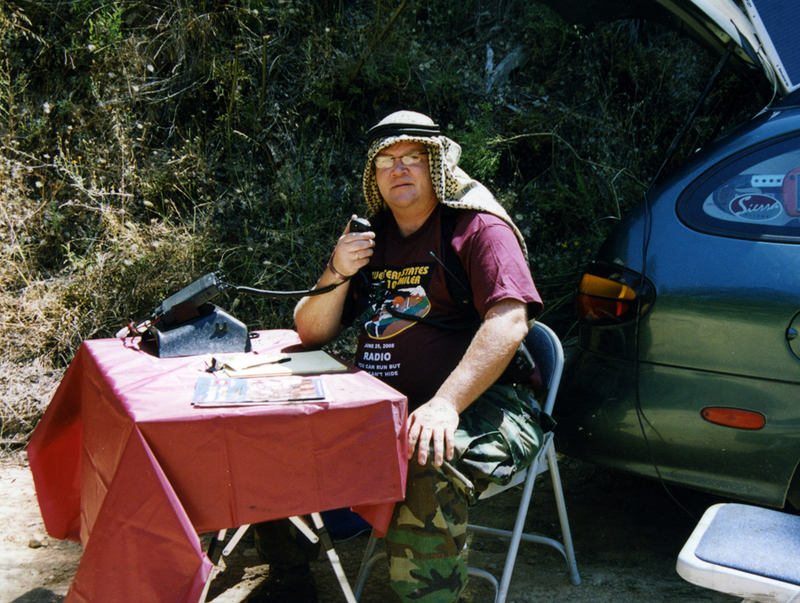 The radio on the table is my Yaesu FT-98000R and the radio i am wearing in my radio harness is a Icom IC-V8. This is the set-up of the radio and antenna for the Western States 100 mile foot race in 2004. The radio is a yaesu FT-98000R and the Antenna is mounted on the fronts of the hood. The whole station ran off one 120 amp battery. The station was on the air for 24 hours striate with no problems. Many of us have friends, relatives, and neighbors that are either on active duty, or are past members of the Armed Forces. 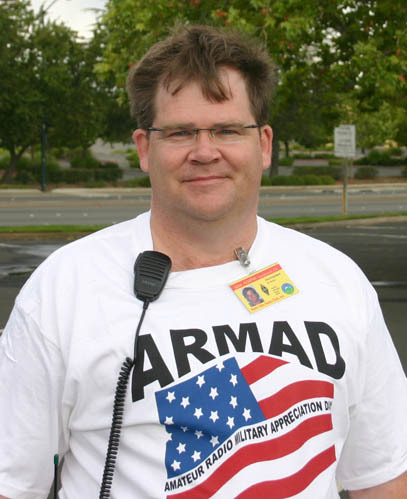 On May 28th, Amateur Radio Operators, from around the world will team up to give the public an opportunity to express their thanks and appreciation of those that serve in the Armed Forces. This event will allow people from different communities to gather at public locations; such as shopping centers, VA hospitals, parks, or sporting events in order to express verbal support, â€œLIVE,â€� over the radio, for members of the Military, Veterans, Reserves, National Guard, and military support groups. This is the set-up of the radio and antenna for the Western States 100 mile foot race in 2005. The radio is a yaesu FT-98000R and the Antenna is mounted on the front of the hood. The whole station ran off one 120 amp battery. I also has a 5 Watt solar panel connected to the battery to help with the power during the day light hours. The station was on the air for 24 hours striate with no problems.